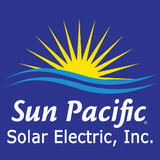 Planet Solar Inc. installs Photovoltaic systems (systems that make electricity from the sun) on residential, commercial, DOD, and especially multi-family housing projects. The Same Power - just Less Money. 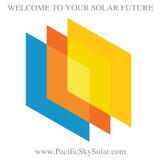 Planet Solar makes Going Solar EASY! Exclusive 12 Unlimited Warranty, only top quality materials, and the best value! Our business model is simple – 1. 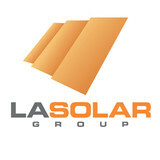 Build the best company in the solar industry 2. 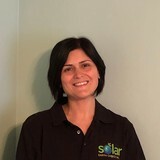 Attract the best solar professionals 3. Develop a positive work environment that allows employees to achieve greatness with benefits, compensation and opportunities for advancement. 4. Provide our customers with the best contractor and solar experience of their lives Accomplish all of the above for the most competitive price – guaranteed. How can we accomplish this? Simple; we conduct amazing service both inside and outside the company. Our senior executives’ jobs are to serve our sales and installation staff. Their job in turn is to serve you. If you are thrilled to be working WITH Planet Solar, then our staff is thrilled to be working FOR Planet Solar, and the executives will be thrilled to be accomplishing industry leading work that allows the company to thrive. By turning the normal business model upside-down, Planet Solar is becoming one of the most influential and respected solar companies in the industry –in fact, in ALL of industry. In 2013, Planet Solar won the prestigious INC Magazine’s TOP 500 Fastest Growing, Best Run, Most Innovative and Most Inspiring Private Companies in America. In addition, when panel manufacturers, national home builders, solar finance companies, and even the US Government (HUD) need the most knowledgeable partner to launch a new program, they choose Planet Solar. Along with off-grid solar, wind and hybrid energy systems that include batteries and backup generators, there are also grid-tied solar and wind operations. Grid-tied systems are attached to your Thousand Oaks, CA utility company so if you produce more energy than you use, your meter goes down and you build up energy credits. 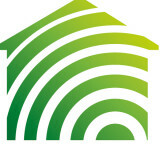 Find solar energy contractors in Thousand Oaks, CA on Houzz. Search the Professionals section for Thousand Oaks, CA solar energy contractors or browse Thousand Oaks, CA photos of completed installations and look for the solar energy contractor’s contact information.